This is a call to all Fort Collins writers! 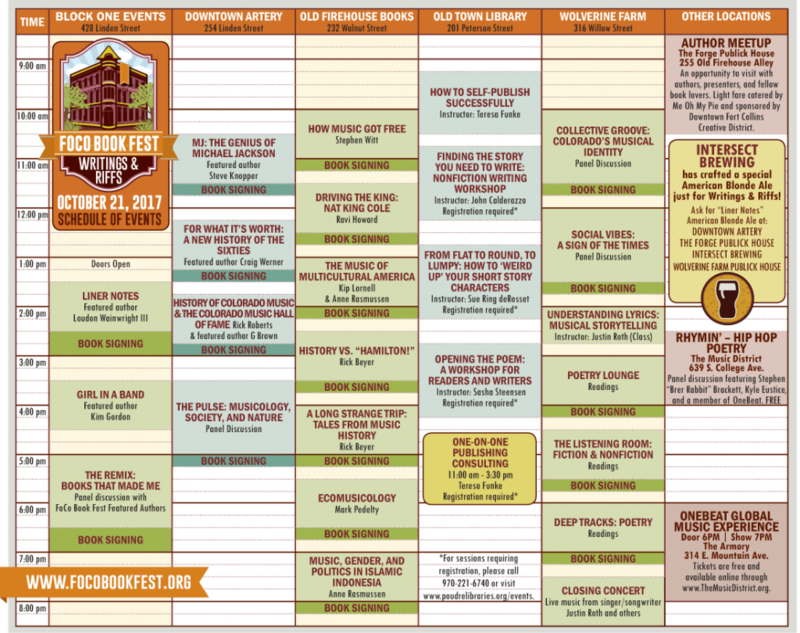 This year’s book festival includes an opportunity for FoCo writers to read and share their work with the community. If you’re interested in participating in the all-day readings on Saturday, October 20, make sure you email Kristin [[email protected](dot)com] before October 1st to reserve your spot. You do not need to be published in order to read. There are approximately 20 open slots for 10-minute readings. Participants will be included on the book festival website and promoted as part of the overall event. Reserve your spot today! Kristin can be reached via email at [email protected](dot)com. Deadline is October 1, 2018.